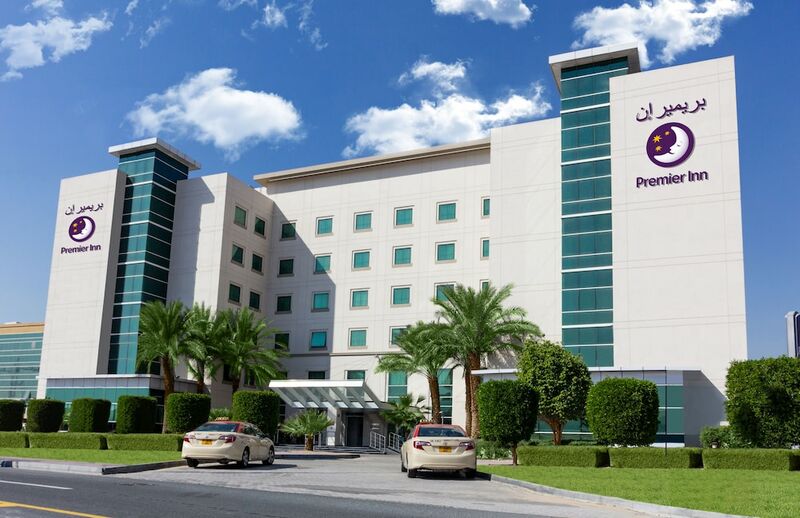 With a stay at Premier Inn Dubai Investment Park in Dubai (Dubai Investment Park), you'll be within a 15-minute drive of Dubai Expo 2020 and Dubailand. This hotel is 8.7 mi (14.1 km) from Ibn Battuta Mall and 9.8 mi (15.8 km) from Dubai Autodrome. Make yourself at home in one of the 304 air-conditioned rooms featuring refrigerators and flat-screen televisions. Complimentary wired and wireless Internet access is available. Private bathrooms with shower/tub combinations feature complimentary toiletries and bidets. Conveniences include laptop-compatible safes and desks, and housekeeping is provided daily. Take advantage of recreational opportunities offered, including an outdoor pool, a spa tub, and a 24-hour fitness center. Additional features at this hotel include complimentary wireless Internet access, a television in a common area, and tour/ticket assistance. Guests can catch a ride to the beach or shopping on the complimentary shuttle. Satisfy your appetite with international cuisine at Nuevo, a restaurant which features a bar. Dining is also available at the coffee shop/café. Continental breakfasts are available daily from 6 AM to 10:30 AM for a fee. Featured amenities include a 24-hour business center, complimentary newspapers in the lobby, and dry cleaning/laundry services. Planning an event in Dubai? This hotel features 807 square feet (75 square meters) of event facilities. Free self parking is available onsite.